It's apparent that Gary is in a great season of life. Fans may remember Gary has wrestled with his demons. Haven't we all!? But today, he is settled and happy in his life with wife Cassie and new baby daughter, as well as his children from first wife, Christian cross-over artist, Amy Grant. I'm not much of a lover of Country Music, okay okay... I'm a closet Country lover. I cried when I saw the Grand Ole Opry's Ryman Hall last Spring for the first time!!! I digress - but as I've said over the years - look it up : ) - good music surpasses all genres. This is a solid project that I believe is radio worthy. I've always loved Gary's robust tone. He's awesome! Some moments I felt like I was listening to the great Bobby Darin, singing in that tone of "If I Were A Carpenter." If God Had a Front Porch with the talented and sweet sounding Alison Krauss. Yes, I can feel the wind lightly blowing as I sit on the front porch listening to these two singing with their friends backing them up with their instruments. The guitar on this reminds me of a song by my friend Roby Duke from his last recording "Ghost." Truly a lovely song. How Great a God: I don't talk too much about my faith or my life. But I have to say that my last few years have been pretty tumultuous. How did Gary know what I was going through? 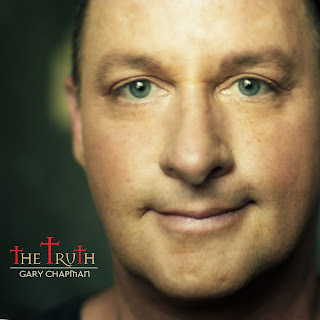 What a beautiful song filled with MY TRUTH down to a "T."
Safe from the Wind: Gary shows his cool soulful side here. Love the way he phrases his lyrics, especially in the first verse. Good song! Love that Hammond B holding up this tune. It's subtle. Nice. Widow of the South: This year for me was filled with watching Ken Burn's "Civil War." Being Hispanic AND from L.A., I couldn't really relate to what happened, as horrible as it was. I think I watched that series over and over throughout the year, especially while working on projects. So when I visited Nashville for the first time this year, the reality of this tragic war hit me. Particularly when I was in Franklin. I think I cried just thinking of the lost lives. Listening to Widow of the South. . . took me back to Downtown Franklin. . . standing on ground where blood was shed, lives were lost, children were left fatherless and wives became widows. Such a beautiful eeriness to Widow of the South. Really like this. Put it in His Hands with Gary's daughter Sarah singing back up. I just smile thinking about how sweet it is to do a project with your kids. All About a Baby: a beautiful song sung with Gary's wife Cassie. Wow!! I love this song!! I thought it was only about their new addition, but realized it's a Christmas song. Amazing how babies can bring us to thinking about Jesus being born in a stable. Along with my childhood favorite, "Mamacita, 'Donde Esta Santa Claus?," this song will be a traditional song for our Christmases to come. Note: throughout my childhood "'Donde Esta Santa Claus" was a staple, so now it's part of our family's Christmas repertoire today!! HA!! The Rough Crowd: I really love this song! It reminds me of The Whosoevers' ministry started by Brian Welch, formerly of Korn, Freestyle motocross aerialist, Ronnie Faisst, P.O.D. 's Sonny Sandoval, Ryan Ries, son of Pastor Raul Ries of Calvary Chapel Golden Springs, and Lacey Sturm formerly of Flyleaf. I also love the song because it's a reminder that I am not lost, which as I get older, I seem to struggle with that concept. Country artists John Rich and legend Tanya Tucker lend their voices to this tune. Their lyrics are so revealing. I'd have to say this is probably my favorite next to How Great a God. As I stated in the beginning, it's apparent that Gary seems to be a good place. I'm happy for him. This is a good album. Get and enjoy it with me.